Receive your ‘190 Words You Already Know’ eBook today! 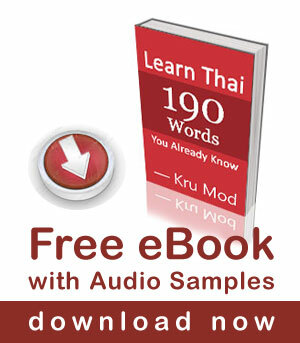 Subscribe to the Learn Thai with Mod newsletter and receive a free eBook with 190 Words You Already Know in Thai. These are words that have been borrowed primarily from English and have been adapted into Thai language. This eBook also gives you an internal audio link which allows you to hear the words with correct pronunciation and tone. This is a great way for anyone to increase your vocabulary with many words you could need in everyday life. 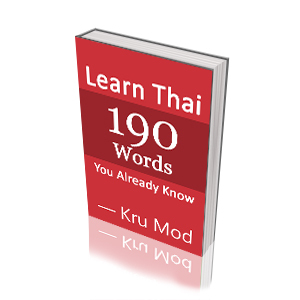 The Learn Thai with Mod eBook will be emailed directly to you once you have completed the short form below.